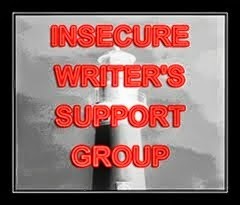 It's time for IWSG: The Insecure Writer's Support Group comes together every first Wednesday of the month to vent. Check out the group here. --September wrapped up with a story I was about to get published not being published. My rights have reverted back to me, but I haven't gone through the story yet to see how much of it I want to rip apart and revise. I remember there were parts I didn't particularly care for the last time I read it, which was sometime around May or so. Which brings me around to the IWSG October question: When do you know your story is ready? Stories have lots of levels of readiness. I've only published one thing so far and I can't really remember now when I knew Pearl was ready to be put out into the world-- Was it when my beta's reactions came back positively? 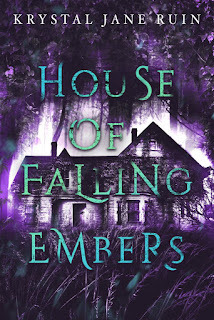 Was it my own knowledge and instinct that the story was compelling and the character was great and why not try the self-publishing thing to see if anybody else wanted to read it? Was it when my copyeditor emailed to tell me that a) she was grateful that I wrote cleanly and b) she was so totally absorbed into the story? The short story that I haven't looked at in a few months--I had a deadline for that one, so that's when it had to be ready by. But I knew it was ready to be written--this after at least a month of mind-stewing--when the first scene played out in my head. Usually, that's how I know something is ready to be written down past the notes-and-research phase: when I start hearing snatches of dialogue or when I can "see" a scene happening or when I can feel the feels. Poor George R.R. Lol! I heard he consulted with the producers and such though about what his plans are because they had gotten past the books. They have that at least, insofar as they're following the books anyway. I'm attempting to be patient with the Victorians, so I'm still writing and plugging along, but I have a separate document of revision notes going so that I don't feel the need to rewrite the entire thing over again lol. Very true. It's a blessing in disguise. Mainly, I want to make it more immediate. It is all about having that feeling, isn't it. No scientific method. It's a knowing. It's finished. All the best for NaNo. Yup! It's one of those mystical bits of the writing process. Sometimes, it's simply because I'm tired of fiddling with it. Feeling. YES! Thank goodness for those moments along the way, right? So sorry to hear your book publishing fell through. This business will make anyone tough! I feel for George RR Martin too. Culture moves so much faster than his writing process. Winter came and went, dude. That kind of stuff happens! I think I'd like to put it up as a Kindle single or something. Winter came and went, dude. LMAO! A book is done when it's done. You feel it. Best wishes. Sorry about the anthology falling through. I hope you find another home for it soon. When I can read through my story without wanting to mess with it some more, it's done. Good luck! I started revising it today, so we'll see. Michelle, thanks for sharing this, especially the part at the end about knowing when to *start* writing a story. That's a hard part for me, trying to decide which stories are worth investing time in. Good luck finding a new home for your story. The variety in the IWSG is fascinating, for sure! Great insight into your writing process and when your story is ready. Good luck with getting that story published, I'm sure there was a good reason and there is something better in store fore you. I can't believe it's almost time for NaNo. ..
You have a 'good kind of busy' going on! So many projects! You'll get there. Keep plugging along.